Cultured Love, based in Holland, Michigan, produces healthy, probiotic sauerkrauts in a variety of traditional and innovative flavors. 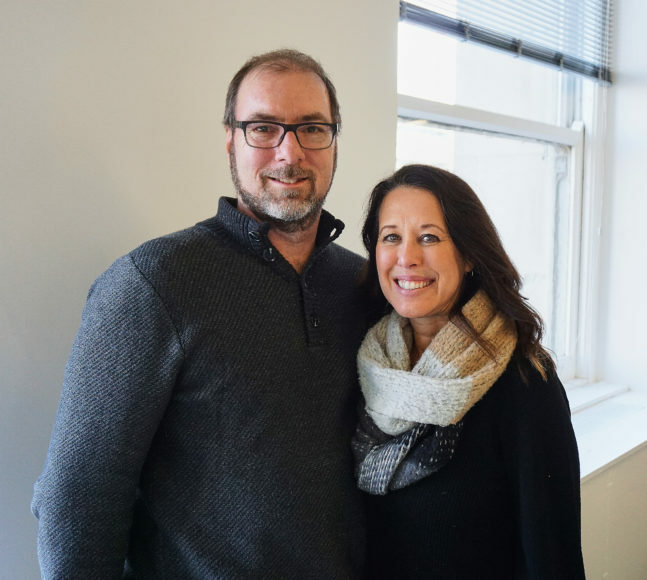 Jodie and Paul Krumpe, who founded the company in 2014, exhibited at FamilyFarmed’s Good Food EXPO in March 2017 and enjoyed record on-site sales. The experience prompted them to apply and get accepted for the current fourth cohort of FamilyFarmed’s Good Food Accelerator. The Krumpes established Cultured Love after family illnesses spurred them to deeply research the connections between food and health. 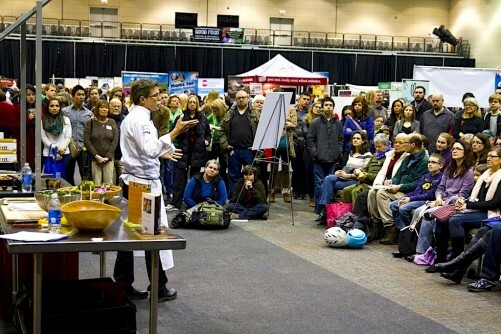 This is something that FamilyFarmed will emphasize with Good Food Is Good Medicine programming at the Good Food Festival on Saturday, March 24, the second day of the Good Food EXPO. Please read below about the important message behind Cultured Love’s products. An arduous recovery, which medical professionals treated with heavy doses of antibiotics, spurred Jodie to undertake what Paul calls “a ton of research” that revealed the positive health impacts of a diet change featuring healthy foods in general, and fermented, probiotic foods fostering gut health in particular. This led the couple in 2014 to start Cultured Love, their line of raw, naturally fermented sauerkrauts in flavors traditional — Dillyicious, flavored like a dill pickle, and Carry Me Away, with caraway seeds — to adventurous, such as curry-flavored Curryosity, kimchi-style Root for Ginger, and Purple Hot & Spicy with red cabbage and cayenne. 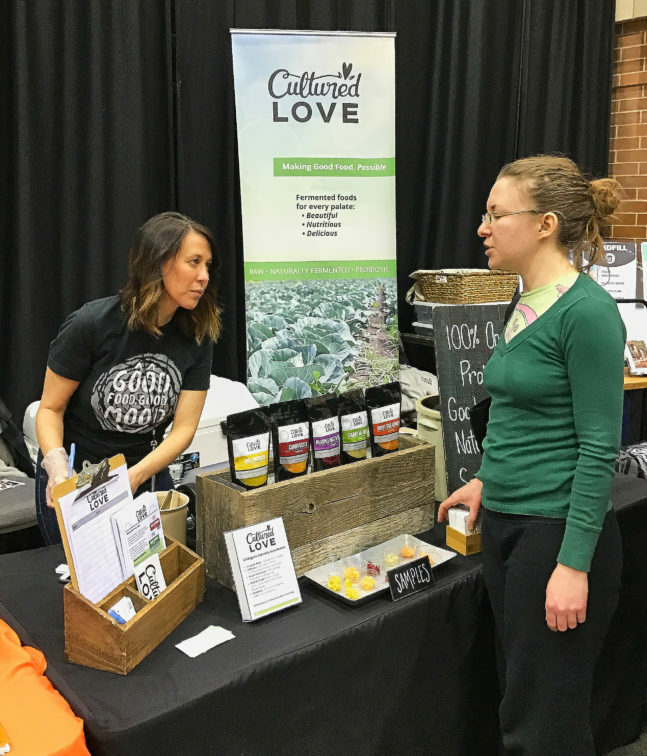 You can purchase Cultured Love products at their online store, farmers markets and select retail outlets in their home state of Michigan… or at FamilyFarmed’s Good Food EXPO, March 23-24 at Chicago’s UIC Forum, where they will again be exhibiting. Paul and Jodie also are Fellows in the current cohort of entrepreneurs participating in our Good Food Accelerator. Q: Let’s start at the beginning of your entrepreneurial journey. Jodie: I raised two kids, I homeschooled for about five years. Then my daughter got sick [in 2007] and I got sick too. All three of us were diagnosed with Lyme Disease. It was many years of recovery and trying to figure out how to get healthy… Researching healthy foods, realizing that diet change was huge. It turned my whole cooking paradigm upside down. Cooking was more processed easy foods for me. I found I had to start cooking things from scratch, making lots of broth and things I’d never made before. Paul: You had this very capable, vibrant young woman in middle school just taken down. She couldn’t play sports, she was depressed… When Jodie was sick, she would wake up in the morning, come downstairs and just lay on the couch, because she was so fatigued, just miserable. But while she was resting, she spent a lot of time watching Food Network. That was one of the things that introduced us to the value of food and the whole mechanics, the whole process, the whole romance of making your own food… At the same time, she was building a community with other people in our area who were dealing with the same problems. Many were dealing with just antibiotics… We found other people in that community who were looking for other alternatives. We were referred to a grass-fed beef purveyor with organic chickens. We talked about making sauerkraut, we talked about making broths, we talked about herbal treatments. All of those influences started to come in over those five or six years before we made the real jump and a diet change. Q: Were there a range of ideas you were experimenting with or did the logic of fermented foods and sauerkraut just jump out at you? Jodie: It jumped out at me because I didn’t grow up eating sauerkraut… When I saw the benefits of fermented foods, it just blew me away. Why are we not eating this? This is a food that’s been around for a long, long, long, long time. It needs to be revitalized and revisited and consumed because of the probiotic benefits and all of the benefits of the nutrients are increased during the fermentation process. It’s highly nutritional and very tasty and it’s really easy to incorporate into a lot of different meals. Q: You started in an incubator kitchen. Take us through the process of how you knew you had something bigger. Paul: The recipes that she developed for the sauerkrauts were important and they were intentionally colorful, flavorful, distinct. As soon as we started selling at our first farmers markets, people were responding to those very things very immediately. Jodie: You asked how did we know. Well, we really didn’t know. At the end of the day we really didn’t. I was just like gut and grit. Q: How did you first connect with FamilyFarmed at the Good Food EXPO? Paul: [In March 2017] I think I was reading something randomly that mentioned the Good Food EXPO, and I thought that sounded interesting, I wonder if that’s anything we’d like to be involved with… We started reading it line by line, it was right in line with our target. It was two or three weeks before. We started corresponding, and we said, “We’ve got to do this, let’s go to Chicago, who know what will happen.”… We’re coming out this thing with no entrepreneurial experience, no food experience… It was crazy, we sold more than we ever had at that point at one place… It really opened our eyes to all this. It was really great exposure. Q: How did that lead you to decide to apply for and participate in the Accelerator? 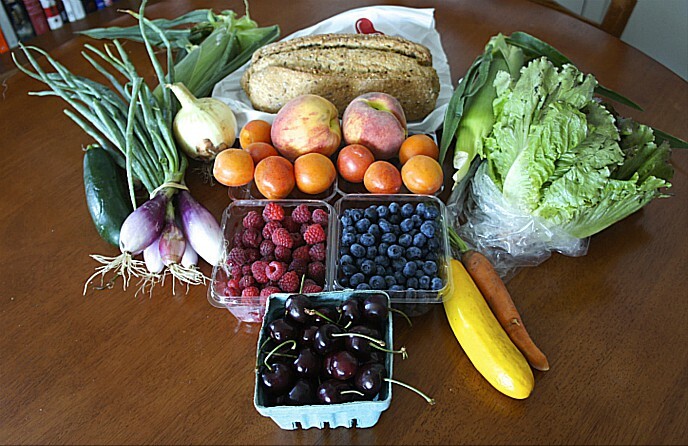 Paul: During the summer a substantial part of our activity is at farmers markets still. It’s very exhausting, it’s a very resource-intensive activity.… If we want this to grow to where we think this could grow, we can’t keep doing this like this… We know we need a business plan, but don’t know how to do it. We know we need more money, we don’t know how to get it. Jodie: We know we need connections, people that understand marketing. Everything we’re learning is amazing. This is so great… It was all passion and I just wanted to get good food into the standard American diet, good food on people’s plates… I just knew we needed the information. We need the support and the infrastructure and also to be with other food entrepreneurs. Paul: And the sharing of skills and experience. We’re not trained, we’re not MBAs, we’re not food scientists, and some of the people in our cohort are MBAs and have been through huge large-scale food companies. Those are views that we couldn’t have. On the other hand, we’ve gone through a lot of things that other people haven’t, doing e-commerce on Shopify or things we’ve figured out in our own way that can contribute to what other people are trying to figure out. Q: You think of sauerkraut, you think of hot dogs, heavy German and Polish food. You’re reaching an audience that is much more receptive to different flavors, different ethnic kind of foods. Jodie: We found that people who are on a plant-based diet really love that we have a variety of flavors. They’re less interested in traditional sauerkraut as much, because they eat so many plant-based foods, they want more flavor. The people who are coming from a standard American diet of maybe meat and potatoes, we pull them in more with the Dilly-licious kraut, the one that tastes like a dill pickle, because it’s more familiar. Q: If we’re sitting here on Jan. 8, 2019, where do you hope the company is then? Jodie: It would be great just to grow into other states and regions. Paul: We still have a lot of opportunity in the state of Michigan… We also feel, especially with the involvement of the [Accelerator], there are some really great opportunities through the network that we have here that could open up… In a year from now, I’d like to see our growth coming largely from those two places, increase in Michigan and finding our way through to Chicago. This entry was posted in Community kitchens, Farmers markets, Fermentation, Food and health, Food Entrepreneurs, Functional foods, Good Food Business Accelerator, Good Food business development, Good Food Festivals, Good Food Is Good Medicine, Good Food marketing, Healthy eating, Sustainable food business investment and tagged Cultured Love, FamilyFarmed, Good Food Accelerator, Good Food Expo, Good Food Festival, Good Food Is Good Medicine. Bookmark the permalink.